Game 1 viewing party at Buffalo Wild Wings! 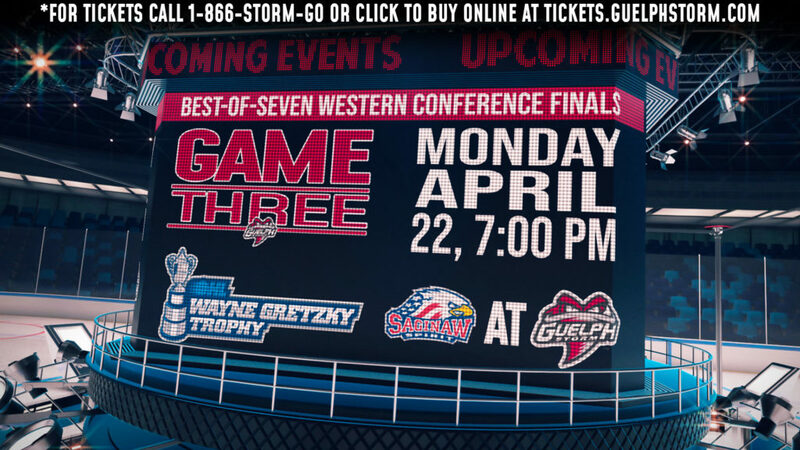 Be part of Buffalo Wild Wings’ Game 1 Viewing Party on Thursday night at Buffalo Wild Wings Guelph on Harvard Road and watch your Guelph Storm take on the Saginaw Spirit! 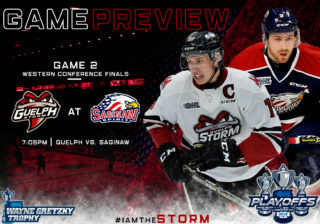 Watch the game live on Rogers 20 surrounded by other Storm fans!! 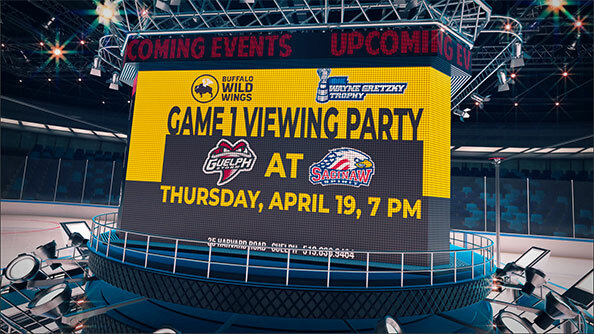 Game 1 Viewing Party at Buffalo Wild Wings – Thursday, April 19 at 7 pm. 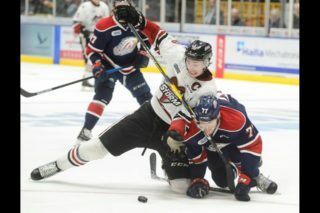 Buffalo Wild Wings – 35 Harvard Road in Guelph. 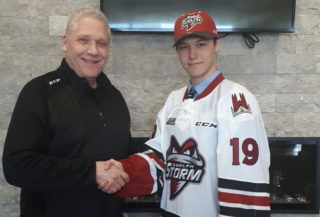 For more information call 519.836.9464.